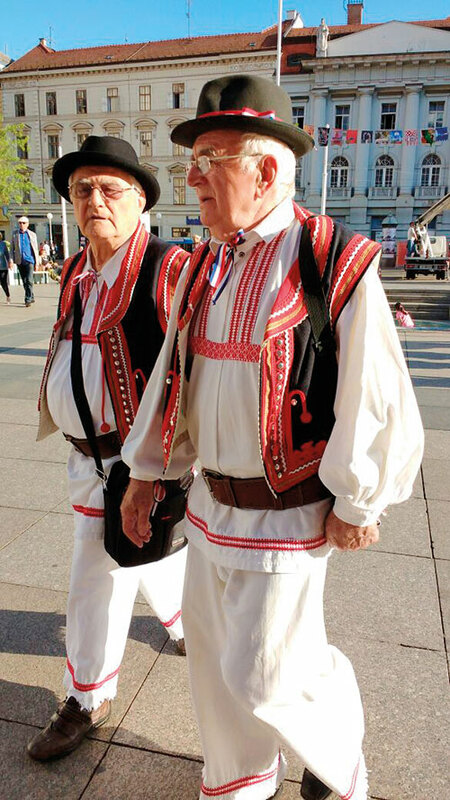 In Zagreb, especially in summertime, the music never stops. As a bunch of us wandered around the buzzing Croatian capital, we came upon jiving couples in the streets, live bands in parks and a melancholic flautist seated at the foot of a grand statue. Ban Jelacic Square, the city’s commercial heart since 1641, is a favoured meeting point — which we adapt to easily — with ‘under the horse’s tail’ being the hot spot. 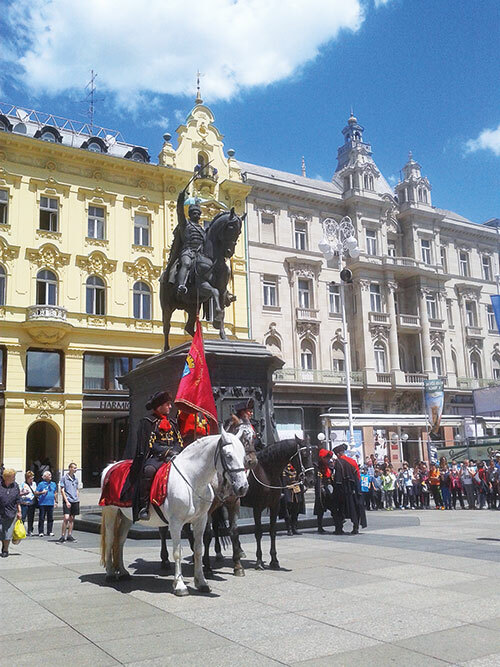 The statue of Governor Josip Jelacic atop a steed, the work of an Austrian sculptor, dominates the centre of the square that is lined with the architectural dazzle of the 19th century. 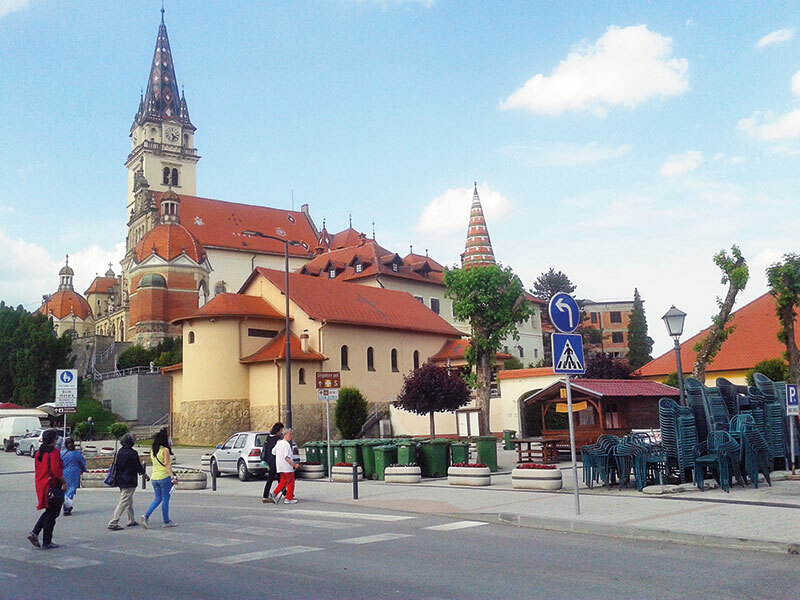 In a country known for its home-grown wines, bottles always beckon and our noses lead us into the bustle of Tkalciceva, the vibrant car-free street overrun by clusters of bars, cafes and restaurants dishing up a medley of cuisines. We brave a Sri Lankan diner for want of seating in the others and immediately regret the impromptu tasting. The next night finds us safely savouring glasses of a zesty Grimalda and a deliciously peppered spaghetti. 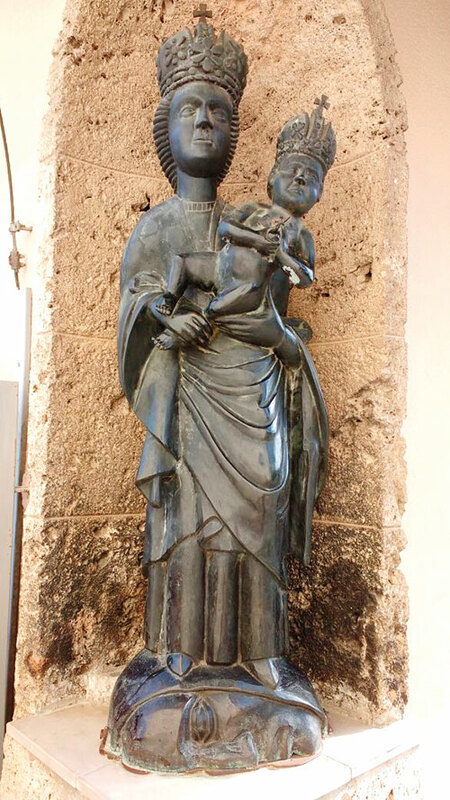 Croatian food is largely influenced by Italian and Hungarian flavours. We try the famed Zagorje soup, a robust swirl of potatoes, mushrooms, onions, carrots and bacon bits, topped with herbs and cream, and a sausage roll derivative of the klipici that becomes our daily four o’clock fix. ‘Zagreb Day’ arrives with an overwhelming basket of choices. Aromatic gingerbread cookies at every corner; a complimentary ride on one of the two oldest trams in the city; walking tours that begin under the ‘horse’s tail’ and end at the Stone Gate in Upper Town, the only gate that is still standing from the Middle Ages; a guided stroll to the twin-towered cathedral…. We experience all this and more before setting out into the hills of Donja Stubica for a very special lunch at Majsecov mlin where a spread of Eastern European delicacies awaits us. Pumpkin-seed-infused chicken, plums-stuffed turkey resting on a bed of barley and a cheese-coated baked goodie that showcase the traditional cuisine of the region, all served up in the quaint ambience of a wooden lodge housed in the environs of an ancient water mill. Nine hundred and twenty-two years old, born out of two hills, Gradec and Kaptol,and on the way to becoming a millennium city, Zagreb revels in its green belt strewn with the architectural splendour of museums, tree-lined promenades, the Croatian National Theatre, Marshal Tito Square, the University of Zagreb — one of the oldest universities in Europe — and the spectacular 19th-century Mimara Museum, receptacle of a mind-boggling private collection of art and more. On our last night, clutching our valuable buys of truffle oil, fruit brandies and hand-painted tea pots, we hurry under stone awnings to Palace Hotel, our temporary art nouveau residence. Swapping tips on how best to rearrange the packing, we catch a hip-hop song wafting across a park. And like hypnotised monkeys we follow the sound to another round of drinking and dancing! 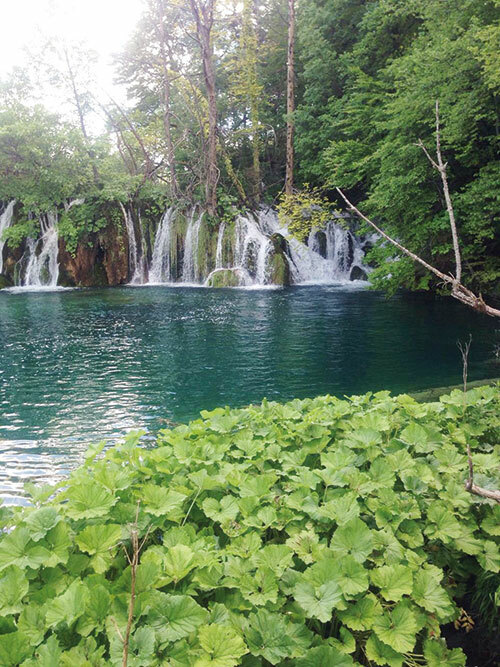 Plitvice Lakes (Lika-Senj County), for the 16 waterfalls thundering down at every turn in the largest of Croatia’s eight national parks. Challenge your body’s balancing skills on slatted wooden footbridges across rippling brooks; trek up to the forested paths lined by beech and fir or row a boat in the mineral-rich emerald waters. Neanderthal Museum (Krapina), the science project that walks you through the beginnings of man and his evolution with the help of videos, special effects and startling lifelike Neanderthals. It was here that artefacts and fossilised remains were discovered in 1899. 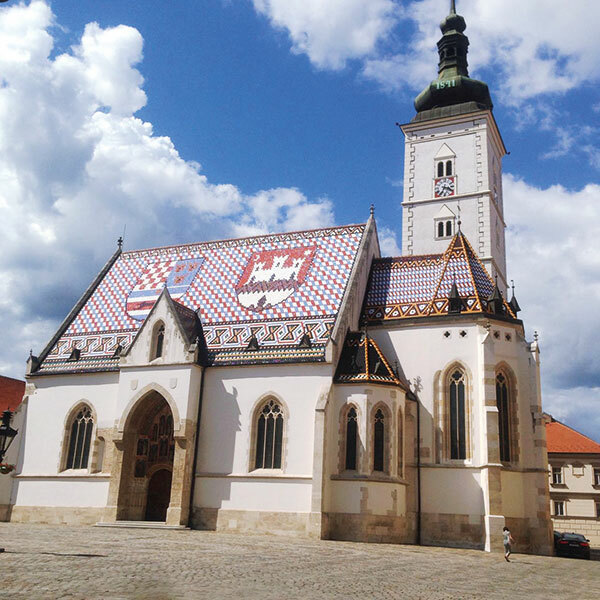 Marija Bistrica Church (Zagorje), the most famous Croatian shrine of St Mary in the scenic village of the same name which houses the 16th-century wooden Black Madonna that has withstood earthquakes, excavations and invasions. Take-home buys include ceramic jugs, gingerbread hearts and exquisitely crafted candles. Orsic Castle (Gornja Stubica), the former unfinished baroque residence of feudal lords which flaunts in its environs a museum recording the peasants’ revolt of 1573, a shop that can seduce your wallet, a mysterious closed well in the courtyard and a vintage horse carriage for that keepsake selfie.